Attendance at this educational seminar is free. Credit for this seminar has been sought from the Nebraska CLE Commission and the Compliance Certification Board. Some things never get old, and such is the case with mandatory reporting of licensed providers in Nebraska, whether to NE-DHHS or the National Practitioner Data Bank (NPDB). This session will address when and how mandatory reporting is triggered, what must be done to fulfill your mandatory reporting obligations, what’s likely to happen after you mandatorily report, and what can happen if you get it wrong. The session will also address the recent updates to the NPDB Guidebook and what scenarios have changed. At the end of this session, participants will be able to understand mandatory reporting rights and obligations under state and federal law; identify problematic scenarios and how best to handle them; and adopt proactive measures to ensure compliance with mandatory reporting requirements. No industry is immune to the risks posed by workplace harassment and discrimination, including healthcare. Over the last 18 months, numerous industries and employers have been faced with public and no-so-public reports of harassment, and have faced those reports and challenges under a spotlight relit and focused by the #MeToo Movement. This session will explore the impact this movement has had on the healthcare industry, the lessons learned over the last 18 months, and how those lessons can be applied moving forward. Treating patients in tense, emergency situations is hard enough without having to worry about regulatory compliance. When a trauma patient is bleeding-out or a woman is having contractions, who thinks about an EMTALA checklist? Great care and great policies may not be enough to avoid unwanted regulatory interest. What issues catch the most attention of CMS and the OIG from the EMTALA world? This presentation will share what is top of mind for the regulators and the steps can you take to avoid getting EMTALA-overexposed. This presentation will discuss the need for, guidance on, and the features of an effective legal compliance program for healthcare providers. 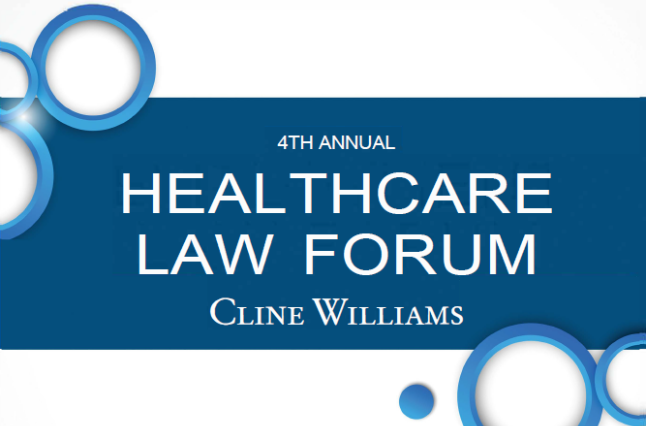 This presentation will also review and discuss private and public enforcement actions resulting from failures in compliance, including efforts against fraud in health care programs, including Medicare and Medicaid; criminal, civil, and administrative investigations of misconduct; and program exclusions and civil monetary penalties on health care providers related to such wrongdoing. This seminar will explain how the scope of practice for advance practice clinicians under Nebraska statutes and DHHS regulations affect the evaluation of liability in the event of a malpractice claim. Attendees will receive a general overview of the common law and statutory grounds for establishing liability in a medical malpractice case, a focused discussion of the Nebraska statutes and DHHS regulations covering advance practice clinicians and how they potentially alter the grounds for establishing liability, and a detailed explanation of the legal requirements, limitations, and risks involved in acting as a supervising physician for a physician assistant in Nebraska. In this session you will hear the latest in identifying, investigating, and confronting provider behavior and possible impairment issues, do’s and don’ts of investigations and reporting, managing peer review and potential legal liability, and how best to work with licensing and law enforcement in the face of potential liability to third parties. Learn how to avoid panic in the wake of provider bad behavior. Devices are getting more connected, not less. Malware is getting more sophisticated, not less. A widespread ransomware attack is one of the biggest operational risks a healthcare facility can face. This presentation will walk through a simulated attack and provide a framework for response in the operational, legal, and technological realms of your facility.